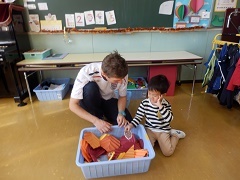 Today in Class 1 we had many fun activities! After playing with Class 2 in the morning, we had our morning meeting, followed by a short ‘Autumn’ review. The children went, “dig, dig, dig” digging in the leaves to find pine cones, acorns, sticks and mushrooms. 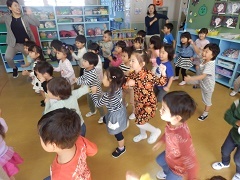 We then had exercise together with Classes 2 and 3 and everyone had so much fun learning this years Halloween dance! 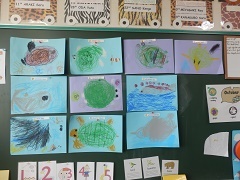 We then remembered what we saw at the Aquarium yesterday and we drew our favorite sea animals before having today’s yummy school lunch. Great job everyone and see you all tomorrow!